The Diet Coke-branded napkins suggest on one side that, "because you're on a plane of full of interesting people and hey ... you never know". "The growth of Cherry Coke and Vanilla Coke - and their zero-calorie variants - has been really strong in recent years even with very limited marketing support", Kate Carpenter, brand director, Coca-Cola, said in a press release. 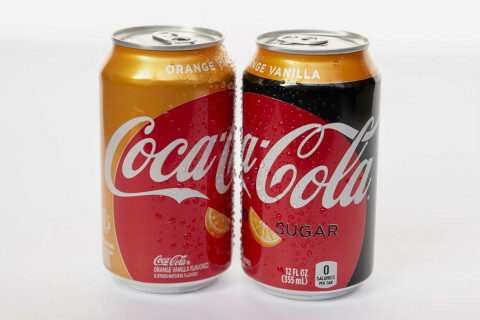 The soda company announced the first new Coke flavor in more than a decade: Orange Vanilla Coke and Orange Vanilla Coke Zero Sugar. "We knew we had an opportunity to give fans the variety they crave without sacrificing the Coca-Cola taste they love". "We wanted to bring back positive memories of carefree summer days", Carpenter said. This is the first new flavor for Coke since 2007.